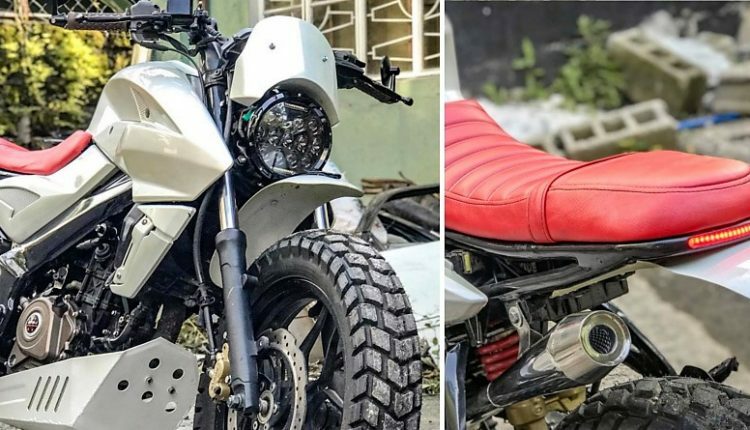 This modified Bajaj Pulsar NS200 Scrambler is a unique story in itself. 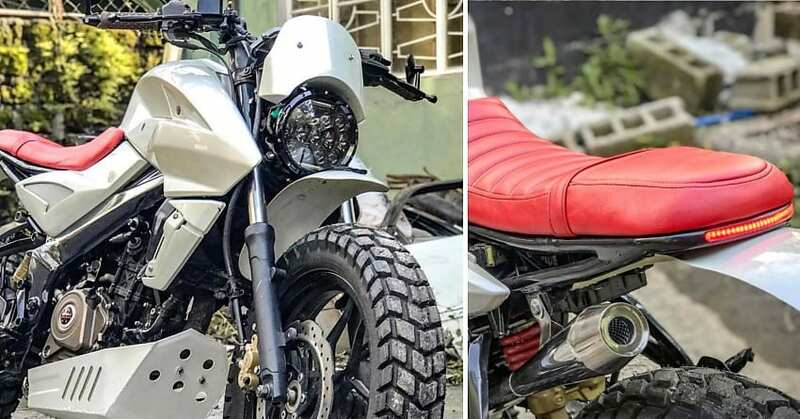 Bajaj Auto feels proud to have a streetfighter like NS200 in the lineup, clear from the fact that the number of units sold every month for the famous machine is higher than some reputed commuters. The basic profile and engine section hint that no change was made to the basic frame to avoid any complications to the stability factor of NS200. 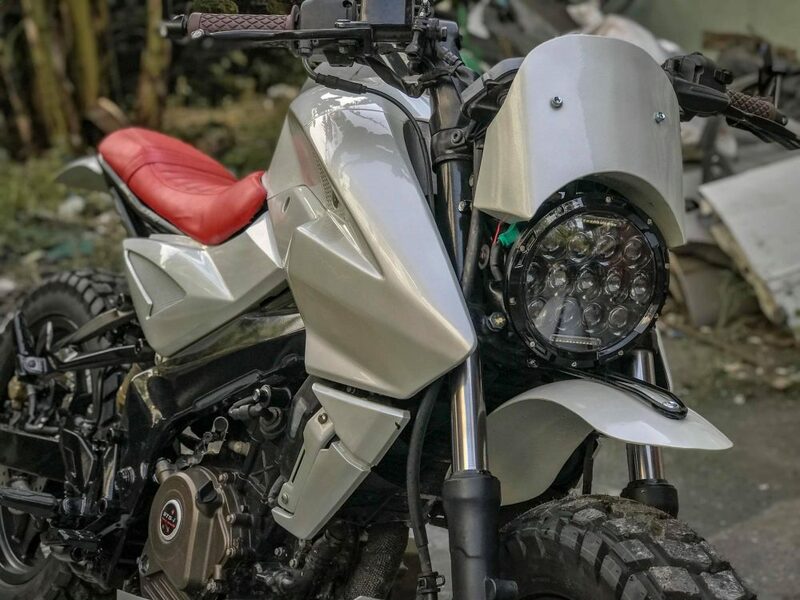 However, the rear end comes with a completely naked frame that gets LED taillight on the outer edge and completely empty tail section. The alloy wheels were kept stock at both ends. 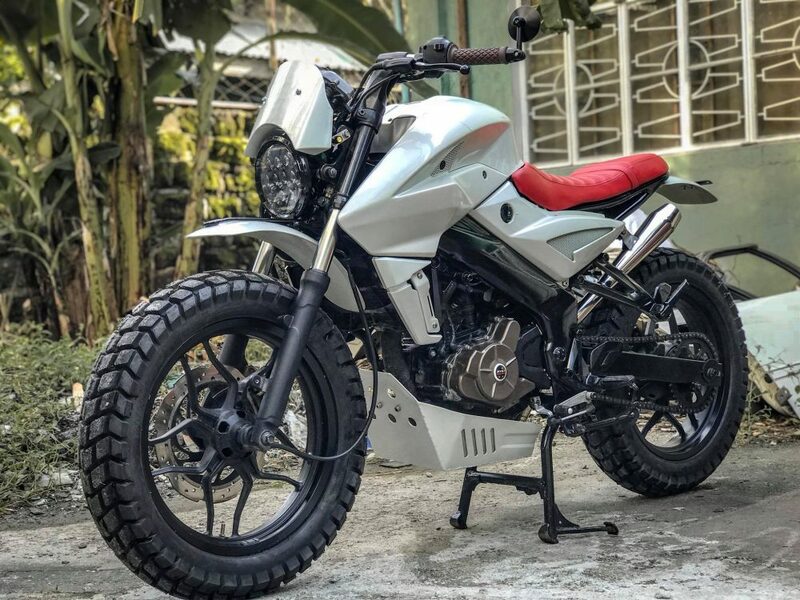 Tokwa Party Garage from the Philippines has made this beautiful Pulsar NS200 Scrambler with custom parts that match the paint scheme on the fuel tank. The metallic finish is purely visible on every part, looking amazing on the custom-made visor that feels directly derived from a liter-class cruiser. 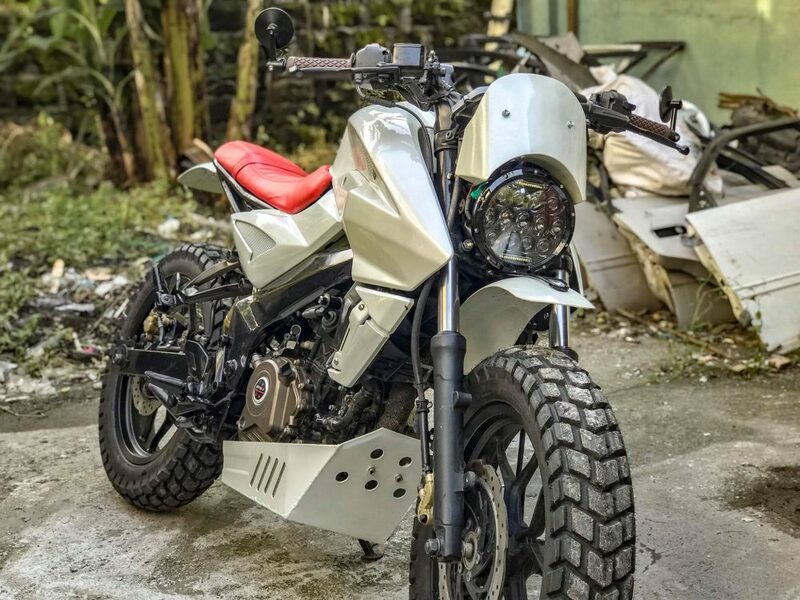 The facial expressions are totally different, all thanks to the custom LED headlight with a black ring and raised fender that not just looks good but feels practical too. The front and rear tires are now off-road friendly, getting thick treads for exceptional grip on rough surfaces and uneven terrain. 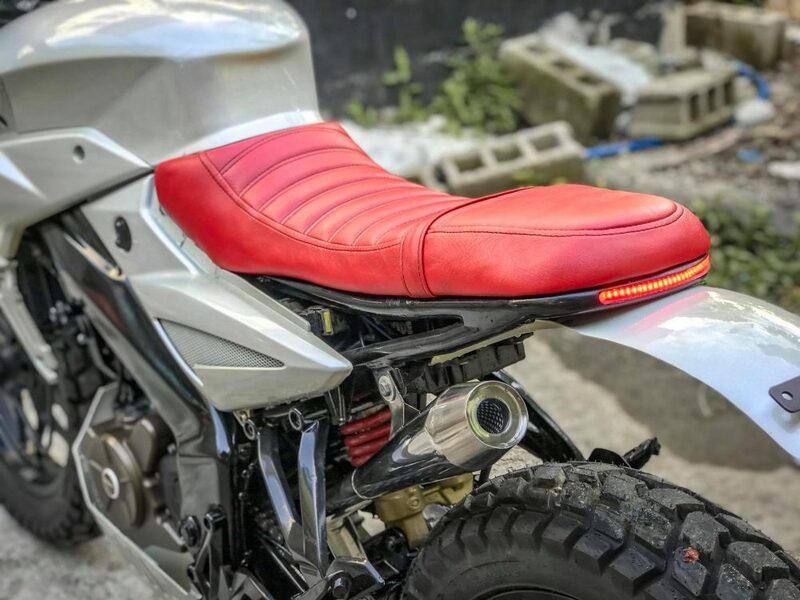 The seat is now a single piece unit, finished in Red and carrying ribbed design for the front part. 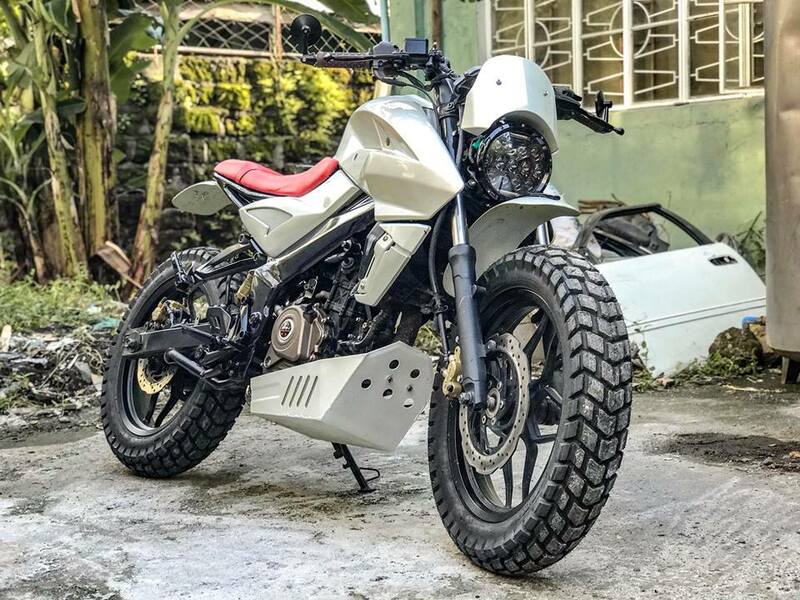 The modifier used a custom exhaust system with raised muffler for better off-road potential and unique looks. The handlebar is clip-on type while huge belly pan further adds protection to the lower engine components. 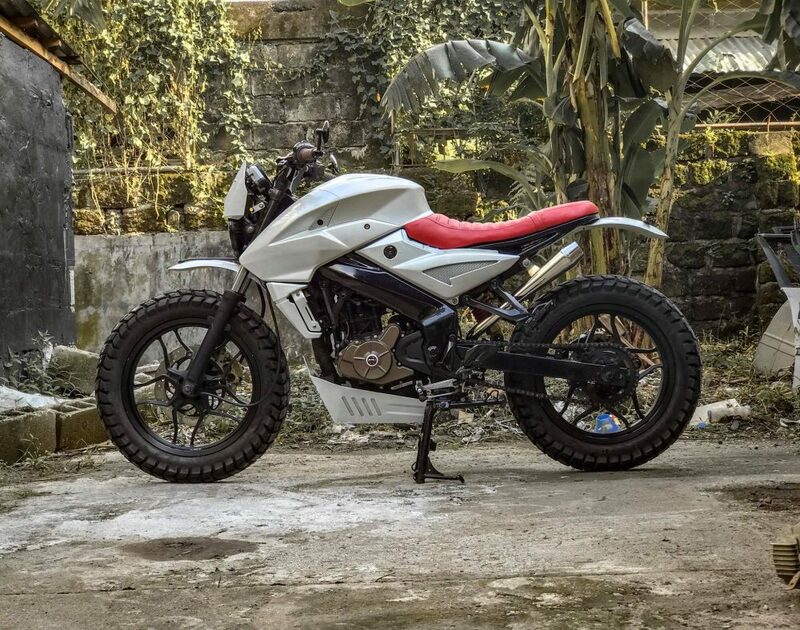 The modified Bajaj Pulsar NS200 is powered by the same 199.5cc, single cylinder engine, producing 23.17 BHP of maximum power and 18.3 Nm of torque. 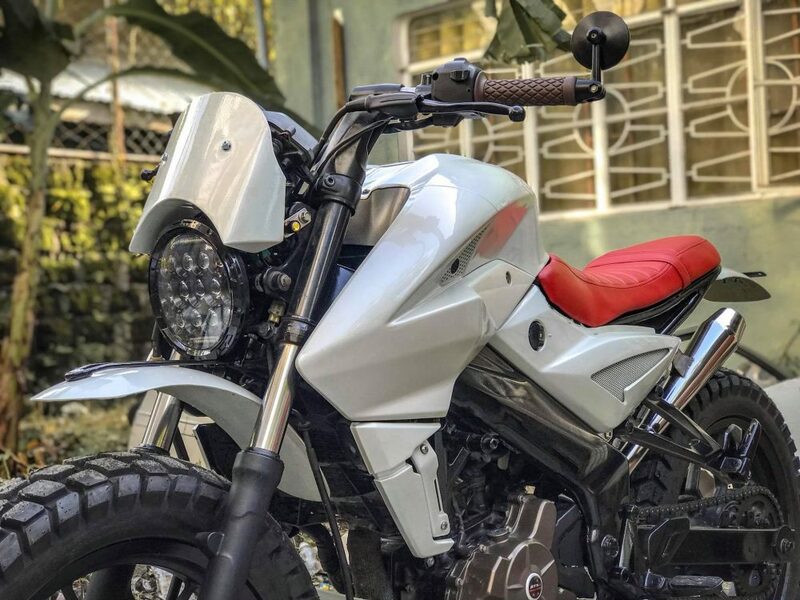 The stock model of NS200 costs around INR 1 lakh in India for the non-ABS and INR 1.12 lakh for the ABS variant.